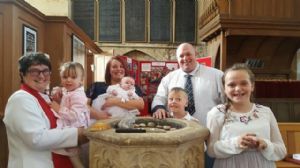 Just as you have welcomed your child into your family, and pledge your support and encouragement for all the years ahead, so in baptism the church welcomes them as a new member and pledges its support and encouragement as well. Together in this service, we form a partnership with God on their behalf. Once you have contacted us to express an interest in baptism, I will visit you with a member of the congregation. We will listen to what your hopes are, and talk about the commitment you are making on behalf of your child. 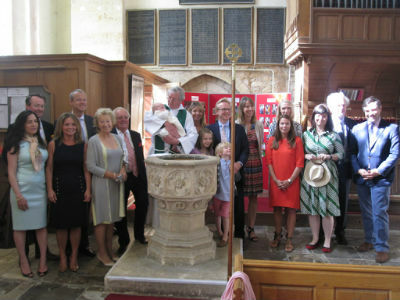 We hope you will join us at a service, before your child is baptised. Will you tell these children the stories of our faith? Parents/godparents: We promise that we will. Will you pray with and for your children? Will you keep in touch with the church and its worship? Parents/godparents: I turn to Christ. Parents/godparents: I repent of my sins. Through prayer and the laying on of hands by the bishop, the Church also asks God to give those being confirmed power, through the Holy Spirit, to live as a disciple of Jesus and a member of God’s church.